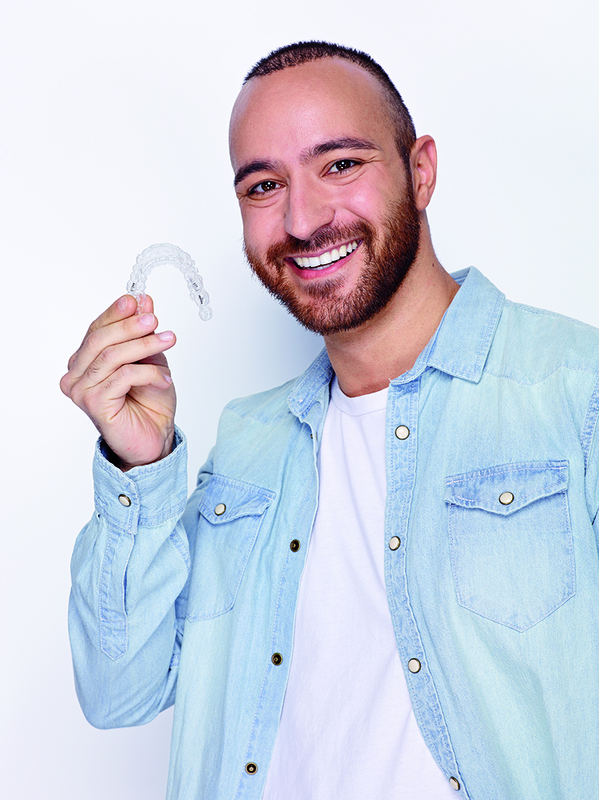 Invisalign is a discrete form of corrective braces consisting of a series of transparent, removable aligners that can straighten your teeth and improve your bite. I Song Orthodontics is an Invisalign Elite Provider for both teens and adults. The days of cumbersome, ostentatious metal braces are over. No need to worry about pointy metal brackets digging into your gums. Invisalign is virtually unnoticeable. You can correct misaligned teeth while keeping a low profile. As we get older, it gets harder and harder to conceptualize having braces as adults. Invisalign is perfect for this type of scenario. For comfort and convenience, the choice is Invisalign. 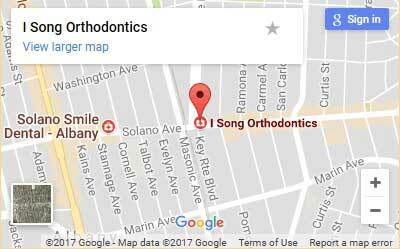 For the most experienced Invisalign provider in Albany and Berkeley, CA, choose I Song Orthodontics today. 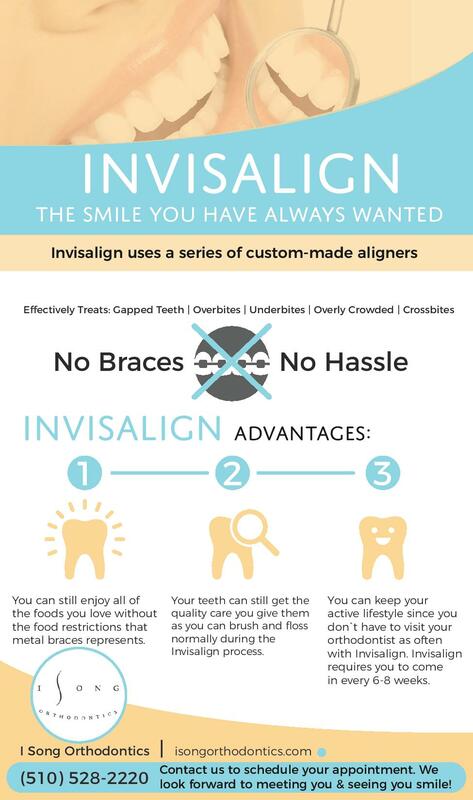 Invisalign is highly effective in straightening teeth in a variety of cases, including but certainly not limited to crowding, spacing, crossbite, as well as underbite and overbite. You can still enjoy all of the foods you love without the big lifestyle change that metal braces represents. You can also brush and floss just as you normally would. Best of all, you don’t have to worry about having to frequently visit your orthodontist. You only have to come in every four to six weeks in order for us to gauge your improvement and supply you with new aligners. You will be given an initial Invisalign consultation at I Song Orthodontics during which we will go over the full extent of the treatment, how it works, and preparations. We’ll also discuss how long we anticipate that you will need to use Invisalign. For best results, you should wear your aligners for 20 hours or more per day, throughout the entirety of your treatment.